Used bikes make up a huge part of the buying and selling of motorcycles and scooters in the UK and there are some amazing bargains to be found with bikes and scooters that will cost a fraction of what a new one will. We’ve rounded up a few of the best (and most popular) models to give a wide range of choice that will hopefully offer something to almost everyone. The smallest of the Honda sportsbike family has been a consistent best-seller in the UK since it was first released in 2004. The combination of sporty look, lightweight handling, quality build and an ultra-reliable, four-stroke, single cylinder engine that returns frugal economy has always been popular. These bikes are often ridden by some of the less experienced riders out there so look out for damage where they might have been dropped. Regular oil changes are a sign the bike has been looked after as well. Expect to pay: Anything from £1500 for a tatty one but £2000 will get you a nice 2003 example that’s been looked after. 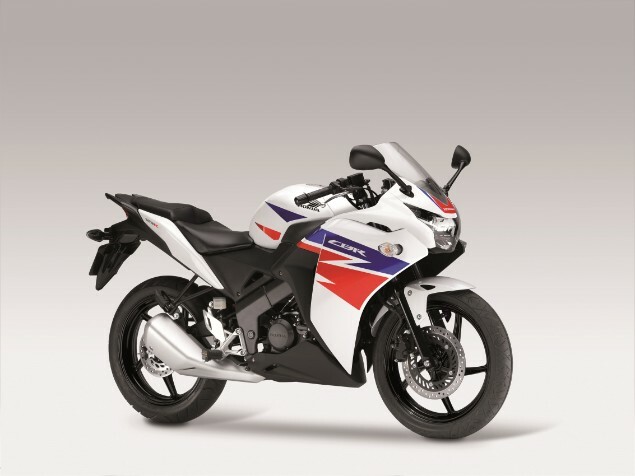 While the Honda CBR125R is the more sporty end of the 125cc class, the Yamaha YBR125 is all about function over form. This is a bike that has been built to get you about the city with the minimum of expense and the maximum amount of reliability. Like the CBR125R, the Yamaha YBR125 can often be owned by those with less riding years under their belts so watch for crash damage. You can enjoy 125mpg from a YBR125 so getting to work might never have been so cheaply done. Expect to pay: Anything from a £750 would nab you a decent one but £1500 will be enough to find a really nice one. There are lots of motorcycles out there that claim to be all-rounders; offering a little bit of everything to everyone; and that is an ambitious claim to make. Very few get as close to that ideal as the Honda VFR800i which remains one of the most popular used bikes in the UK despite not being on sale in the generations we are talking about here. The 1998 VFR800i replaced the previous VFR750 which itself remains a popular, if quite old, choice thanks to a wonderful V4 engine configuration and sublime throttle response. The VR800 is a bike you can ride to work, ride all weekend, take to the track on occasion, ride with a pillion and load up with luggage and head off across Europe. Issues with the bike are few and far between. Some people don’t like the way the power is delivered with the later VTEC variable valve timing models as there is a ‘step’ in the power delivery. Exhaust downpipes can rust through and changing the exhaust system; because of the V4 engine layout; can be a pig of a job to do; other than that they do well. The 1998 version (the fifth generation as it’s referred to) gave the bike a complete restyle but continued the all-rounder capability of previous versions. Expect to pay: From £1500 for a well-used version but £2200 will be more than enough to get a nice one. Honda is rumoured to have tried and failed to replace the CBR1100 Super Blackbird on a number of occasions during the 11 years the bike was on sale, but the original bike that can be dated back to its launch in 1996, was just so good, Honda opted to dump the replacements. 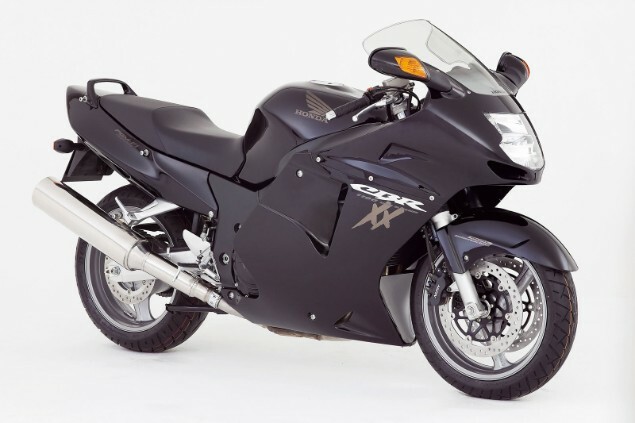 The CBR1100XX Super Blackbird lasted all the way to 2007 but beyond a switch from carburettors to fuel injection in 1999 and some small tweaks in 2001, there were almost no changes made to the bike during the whole time it was in production. The Super Blackbird was developed at a time when rivals like the Suzuki Hayabusa and Kawasaki ZZR1100 were on sale and they all aimed to be ultra-fast, ultra-smooth touring bikes. Even today the Super Blackbird remains a really, really fast motorcycle and the 1137cc four-cylinder motor still packs a fearsome performance punch; all the while remaining super-smooth. In terms of technology like ABS and traction control, riding modes or anything like that then the Super Blackbird is showing its age but for many owners, this purity is exactly what they love so much. If you really want the best of the bunch then real Super Blackbird enthusiasts tell you to go for the pre-fuel injection bikes made prior to 1999 as there is a common electrical issue with the fuel injection system and corrosion in one of the connectors. Expect to pay: From £2000 for a fairly high-mileage bike and up to £5500 for a late 2006/7 model with far fewer miles on it. BMW created the original R80G/S back in 1980 and has been building the bike that aims to be able to do on and off-road riding in total control ever since. Over the years the classic boxer twin layout has remained the same but eventually BMW had to embrace firstly air/oil cooling instead of just air cooling and eventually, in 2013, the German firm went the whole way and introduced liquid-cooling. This is where the LC designation comes from in the bike model name. The engine was completely new and barely shared a single component with the outgoing 1137cc motor that used air/oil cooling. Power leapt to 125bhp from 115bhp and technology took a big leap forwards too; sales took a corresponding leap forwards too. Many of these bikes stay within the BMW dealer network and will be priced a little higher but do come with the reassurance of many having an official used bike warranty on sale. 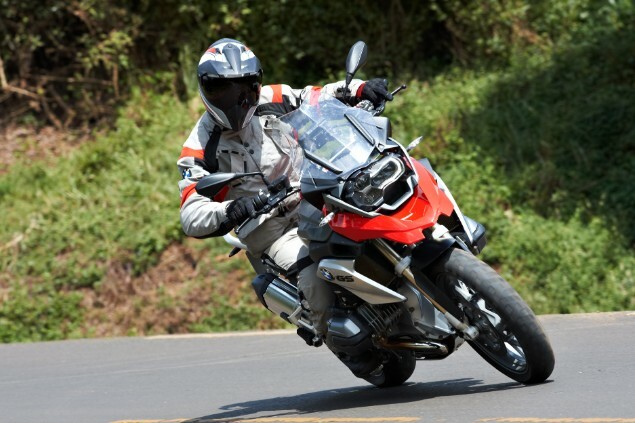 Look for any off-road riding damage on the underside of the engine and on bikes with grey-painted engines, look for corrosion in the paint finish as this was an ongoing issue that BMW was working to fix. You need to check the bike has been in for a recall issue to reinforce the fork tube mount; this was a global recall that affected tens of thousands of bikes and needs to be done. It won’t cost anything to have the bike checked or fixed. Expect to pay: From £8000 for the earliest of the 2013 models. 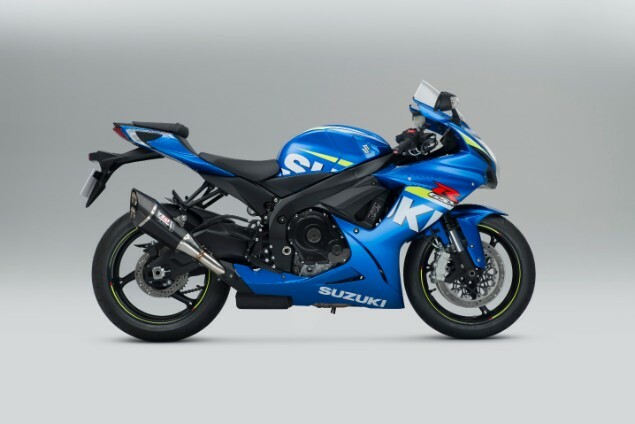 The Suzuki GSX-R600 can be traced all the way back to 1992 which followed some years after the original GSX-R750 model. The GSX-R600 (and larger capacity GSX-R750 and 1000 models) have always been a raw and pure experience and loved for those character traits. 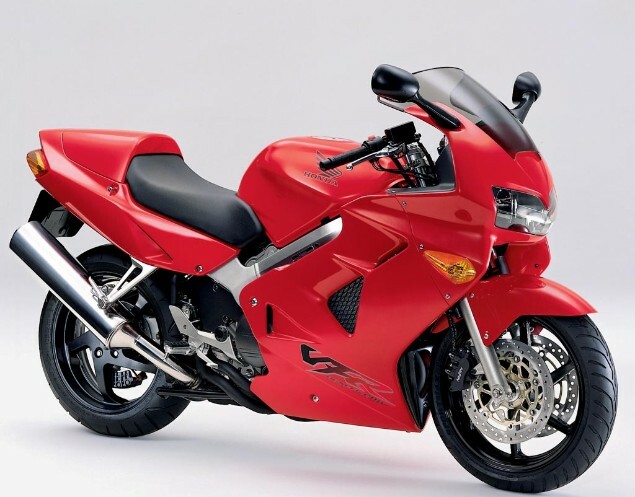 The GSX-R600 took a short break from production before returning with a bang with the 1997 SRAD model but there were a constant stream of new models between ’97 and 2014 when the model production was ended because of dwindling sales in the Supersport class. The GSX-R600 remains an extremely popular choice on the UK used bike market and you can pick up a decent one with just £1200 to spend on an early one. If you want something that feels like a modern bike then aiming for one that was built after 2006 ensures you are in the frame for one of the later models that remained almost unchanged until the bike was massively overhauled for the last time in 2011. In terms of money, the K6 model introduced in 2006 is the sweet spot as the bike got a completely new engine, new styling and became a much sharper bike. With just £3500 you can find a well-used K6 model but £4000 and above will find you a loved one that will still pack a performance punch. While new 600cc sportsbike sales have almost disappeared, used ones are still hot property and the pool of decent bikes shrinks every year. Expect to pay: From £4000 for a K6 and up to about £8500 for the final versions available. 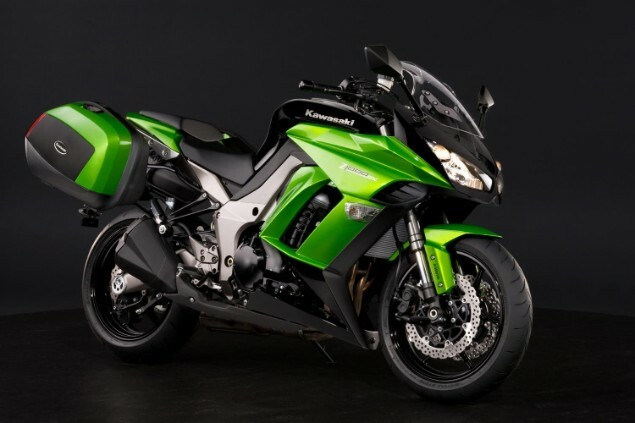 The Kawasaki Z1000SX has been through three different generations and all of them are well worth a recommendation; it very much depends on your available budget as you pick up a 2010 model for around £4000 but a nearly new one will be £10,000. The Z100SX took the naked Z1000 model and added a layer of touring capability, practicality and luggage for a package that was the perfect blend of power, torque and handling for many people. The Z1000SX was designed to slot into the gap between the Z1000 naked roadster and the ultra-track focussed ZX-10R with the SX being designed to be a great road bike from the outset. The bike was offered for sale in both non-ABS and ABS versions and the system is a good one with minimum intervention when you might not want it while adding an extra layer of safety. After four years on sale, Kawasaki gave the Z1000SX a refresh in 2014 and it only made a good bike even better with new technology, fresh new styling and the choice of a ‘Touring’ version that came with panniers for an extra £500. ABS remained an option at this time but the tide was turning as owners realised new ABS was something that was a benefit rather than a hindrance and they embraced it in growing numbers. As recently as 2017, Kawasaki gave the bike another overhaul with another raft of improvements including the very latest rider safety aids, standard cornering ABS, traction control, anti-wheelie and riding modes. As we stated earlier, choosing a Z1000SX comes down to your budget but if you want a bike that can provide fun, touring capability and day-to-day practicality for jobs like commuting then the Kawasaki is a great prospect. Expect to pay: From £4000 for an early 2010 model and up to about £10,000 for a nearly new one. 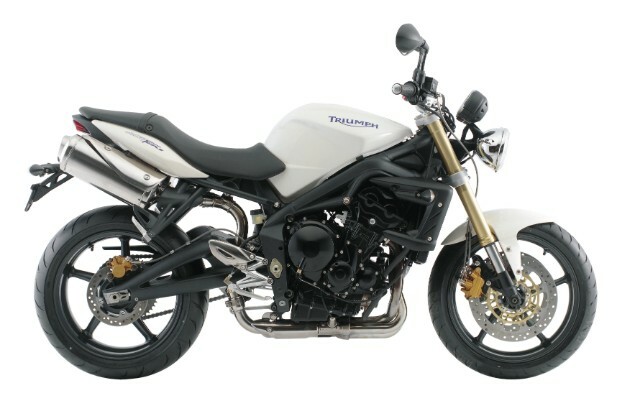 8 Triumph Street Triple From 2007 to present day with the Street Triple 765. The three-cylinder Triumph Street Triple has been a popular bikes since it burst onto the scene in 2007 as the smaller-capacity, more sporty and manageable version of the Triumph Speed Triple. The recipe for the Street Triple was very similar to the bigger Speed Triple; take the engine from the Daytona 675, strip away the bodywork, fit some mean-looking twin headlights and offer it up at a competitive price. 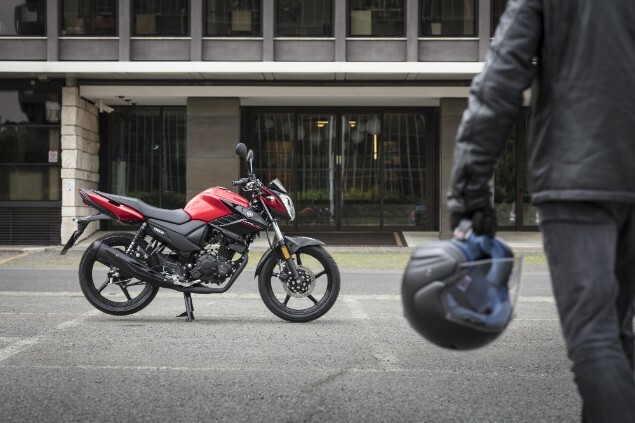 The bike was quick to find owners and (backed up by the more highly-specced Street Triple R version) it quickly became a sales success thanks to the combination of that characterful engine, affordable price and great handling. Not only was the Street Triple a great naked roadster but the combination of the performance and handling was enough to appeal to a fair few sportsbike riders who ditched their fully faired bikes for the naked appeal of the Street Triple. With used prices for early versions now at a tempting £3000 or less, the entry point to the Street Triple ownership experience is open to a lot more people. Reliability is generally good but issues with the regulator/rectifier are fairly well known but this is likely to be something that needs sorting immediately it occurs and is hard to ignore. Niggling electrical faults and suspension that degrades over time to the point it needs replacing or a complete service are also noted by owners of older machines. The three-cylinder motor is known for reliability too as long as they are looked after with regular servicing and oil changes. Expect to pay: From £3000 for an early 2007 model. 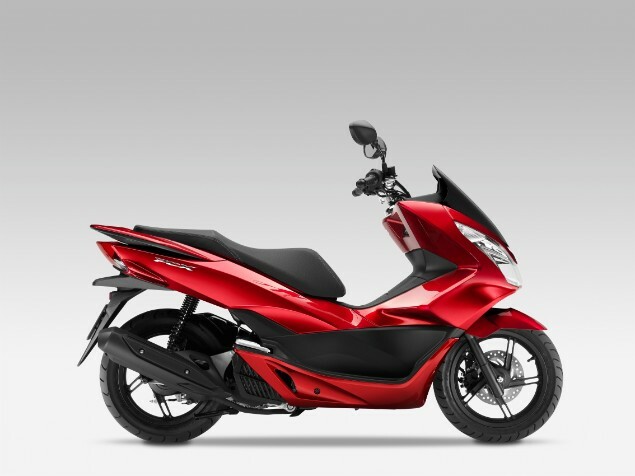 The Honda PCX125 scooter has been at the top of the sales charts across Europe almost since it was first introduced in 2010 and when you understand the combination of practicality, quality build and affordability, it’s not hard to see why. The PCX125 was the first two-wheeler to introduce stop/start fuel-saving technology that further aids the already impressively frugal rate of fuel consumption. The PCX combines an ultra-reliable four-stroke, single-cylinder 125cc engine that produces 11bhp and can eke out a gallon of petrol to a claimed 91mile range. The PCX is comfortable, the performance is decent and there’s a decent amount of storage under the seat that lifts up and, best of all, they can be picked up for around £800. At this lower end of the price range, don’t expect a showroom fresh scooter but as long as the scooter has been kept maintained, it should stay reliable and dependable. The biggest issue with scooters like this is with the type of owner they can end up with. Often they aren’t enthusiasts and they buy a scooter as the cheapest way of getting about; there is no desire to keep them in good condition and in busier cities scooters can often get bashed about by other scooters in parking areas. One way around this is to buy a new or nearly new one and when the price is £2929 (for 2019) for a brand-new one you can get a three-year finance deal currently for £59 a month with a £59 deposit. At least this way you have a new one to start with. Expect to pay: From £800 for a tatty one and up to £2500 for an almost brand-new one. The Yamaha MTY-07 was a breath of fresh air when it was introduced in 2014 as it was a reminder that cost-conscious motorcycles could still be a load of fun. 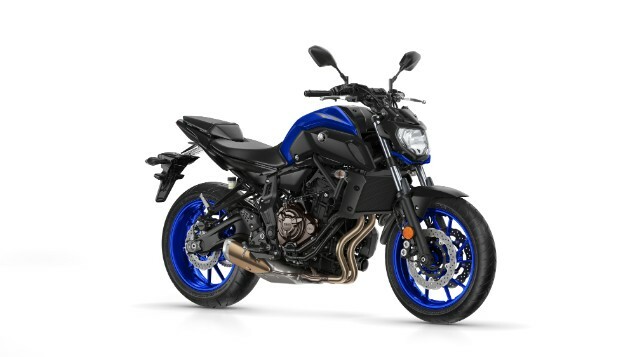 The parallel-twin 689cc engine was developed as part of a family that has already developed the MT-09’s three-cylinder 900cc motor and, to an extent, the inline four-cylinder motor in the YZF-R1 superbike. There were few, if any bells and whistles with the MT-07, even ABS was an option on the first versions and there’s no traction control, rider modes or anything fancy. What the MT-07 provided was an easy-to-ride bike that was a doddle to ride through town, decent fun on country roads and would still return excellent fuel economy thanks to the lean-running nature of the two-cylinder engine. There have been some issues with paint finish on the engines, a few electrical issues and there was a recall for a new wiring loom part on some early bikes because it was rubbing against the frame, but overall the news seems pretty good. One issue that has consistently raised its head comes from faster (or heavier) riders who may well run out of performance from the budget-built suspension; particualry at the bac. For 2018 the bike was given a bit of a styling overhaul but also got new suspension that went a long way to addressing these issues. Still, there are many owners out there with older bikes who would benefit from spending some money on all or a combination of a shock rebuild, new higher-performance shock or a front fork rebuild kit. Prices are now bouncing around just over £3000 for a 2014/15 bike but you can get a new one for less than £100 per month on some current new finance deals. Expect to pay: From £3000 to £6500 for a new one. Next page: What do the new bike launches of 2019 reveal about the motorcycle market?